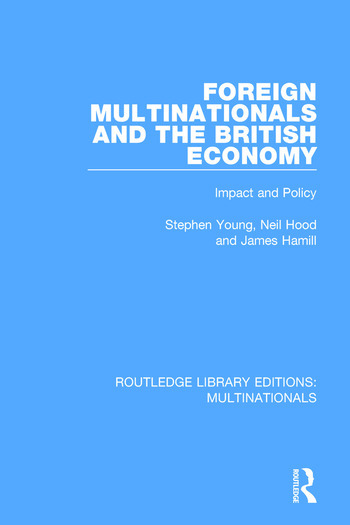 This book, first published in 1988, examines the impact of multinational companies on the British economy and the British government’s policy responses. It assesses the effects of multinationals both on the national economy and on different regions and evaluates the benefits and problems brought by overseas companies. It looks at how government has attempted to entice multinationals to invest, and the UK government’s success in these attraction efforts as compared with other countries. Regulatory aspects of policy are also reviewed and evaluated, and consideration is given to possible new policy approaches. This title will be of interest to students of business studies.